What if you lost a job you loved? Well, Cynthia Daniels, chief event strategist and rising media mogul, is no stranger to this. In fact, she turned a stressful situation into a successful venture. In 2008, Daniels was given the pink slip and was forced to abandon one of her fondest passions: recruiting talented mentors to serve at-risk youth. It was an emotional loss, to say the least. And when you’re an educated professional standing tall with both a bachelor’s and master’s degree who can’t find another job after a year of searching, you can either become bitter or better. Daniels chose the latter. She left her home in Atlanta and started a new path in Memphis, walking a road that led to some of her greatest professional victories. She became president of the Memphis Urban League Young Professionals, helping small businesses gain visibility as a social media manager. 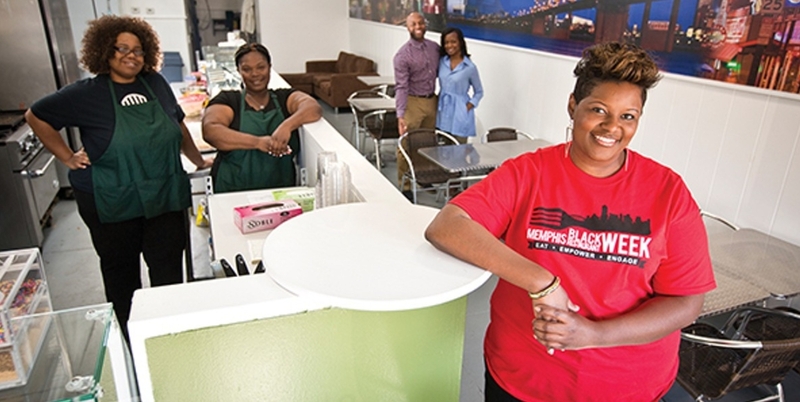 She then launched Memphis Black Restaurant Week—an initiative that generated over $80,000 of profits for local businesses in one week. 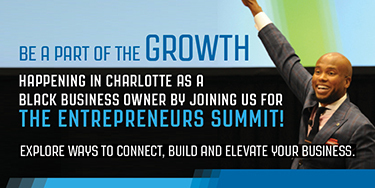 How does one person move to another city and change the financial potential of black-owned businesses? 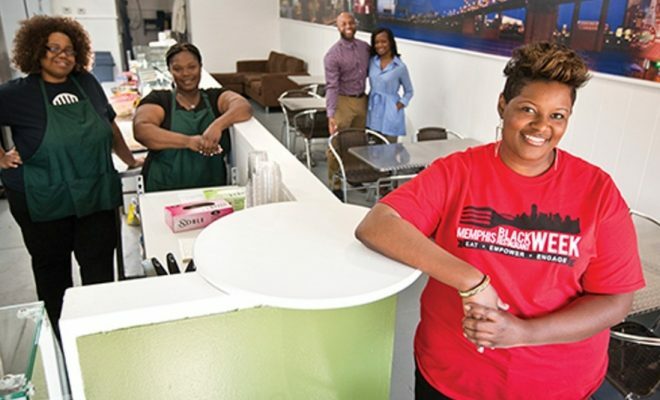 Black Enterprise caught up with Daniels to discuss her brilliant idea and how she created endless business opportunities in Memphis. How did you come up with the idea for Memphis Black Restaurant Week and did you expect it to be as profitable as it was? What do you think was key to your success? Memphis is a big food town! It’s the one thing the city rallies around. I met with some of the owners of black restaurants to get feedback as to how they were doing and what they thought would help them to prosper and grow. The consensus was a lack of support from the black community and the lack of money to market their restaurants to all of Memphis. Using their feedback, the experience I gained from working with the Memphis Urban League Young Professionals, and contacts I developed professionally, I thought of a week to highlight black restaurants. The goals of this week would be to increase patronage and profits and publicize the existence and locations of black restaurants. The idea of a week for all black restaurants allowed the owners to pool their financial resources. Believe it or not, I did not expect the Memphis Black Restaurant Week to be profitable. My personal goal was to help my community grow economically and help the owners I came to know experience some success. Apparently, grassroots marketing and the use of social media made the week very successful. The owners and the patrons were excited all week and could not wait for the next year. What were the steps you needed to take in order to successfully execute this idea? I became familiar with the neighborhoods in the city, business owners, community leaders, and political influencers. I leveraged my experience in event planning for nonprofits. I developed a marketing plan, recruited volunteers, and met with the restaurant owners to go over the plan with them. Local television, radio, and print media picked up the idea, which increased the geographical areas for publicizing the event. How were you able to capitalize on the assets of Memphis to build your business? As a black professional in Memphis, I saw the need to create events focused on highlighting minority businesses and celebrating young black talent. Memphis is the type of city where you have to create the change you want to see. Coming from Atlanta and traveling extensively with the National Urban League Young Professionals, I was able to see firsthand what was missing in my own backyard. My company also produces Top 40 Under 40 Urban Elite Professionals, Level UP Conference, Art & Soul, The Party Life: A New Year’s Eve Celebration and Soulful Food Truck Sunday. In 2018, I’ll be creating two large scale expos to appeal to African American brides and holiday shoppers. Did you experience any cultural, racial, or gender resistance? Unfortunately, I received a lot of pushback from certain parts of the community. They would retaliate and say, “Why can’t there be a White Restaurant Week in Memphis?” They didn’t understand the need for me to create this platform, even though we celebrate other ethnicities with a Jewish Festival, Italian Festival, Latino Festival, and more. What should black people focus on to increase the economic wealth in our communities? We should pursue higher education degrees, obtain vocational educational diplomas (especially in science and technology), increase homeownership, tap into the benefits of entrepreneurship, advocate for financial resources, support black-owned businesses, and improve family stability.